Open heel, simple wrap design allows quick and easy on / off. 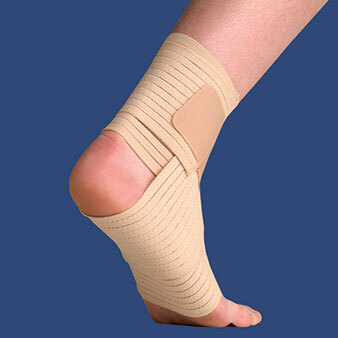 Double elastic straps simulate figure 8 taping of the ankle for medial, lateral and arch support. Sports neoprene provides therapeutic warmth and even compression around swollen, tender ankles. The EZ-ON Wrap Around Ankle Support is breathable and lightweight compression brace that stabilizes ankles that are weak or recovering from injury. 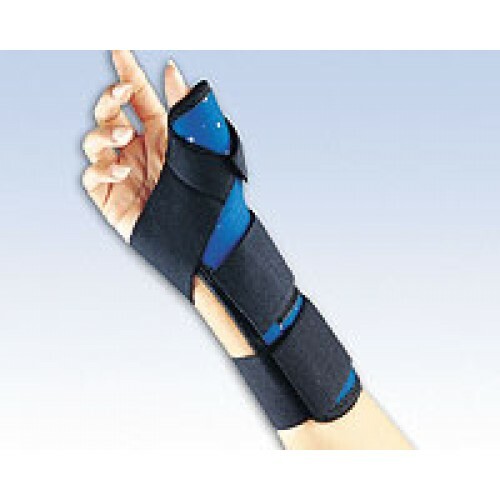 The sports neoprene material applies a consistent compression, helpful for those with swollen or sprained ankles, various sports injuries or osteoarthritis. A heat-retaining polymer, the neoprene traps body heat, creating a blanket of therapeutic warmth which lessens ankle pain and fosters healing. The top of the FLA Orthopedics wrap around ankle support is made from Tri-Permalon™, which circulates air while allowing heat to dissipate gradually. 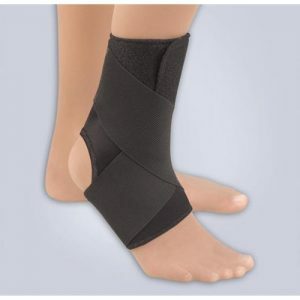 An elastic wrap-around ankle strap applies additional compression that is easily adjustable. Wrapping in a figure-eight pattern, the EZ-ON mimics an athletic taping, providing support to the ankle’s medial and lateral sides. 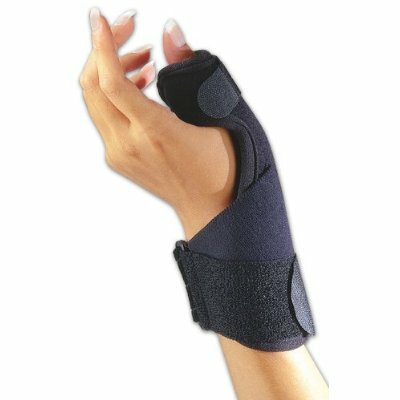 The combination of sports neoprene and Tri-Permalon™ maintains a comfortable temperature throughout the night so users can wear the brace to control edema and ankle pain while they sleep. Color: Black.